I was so honored that this gorgeous family drove all the way from Pennsylvania to have me do their family photos! Here is a short interview with the McDonald family about their experience!
" Why are these photos so Important to you?" We have not captured our family in professional photos for three years, although my husband and I have not changed much, our daughter was four years old when we last have family photos taken. In three years, she's changed drastically. It was very important for us to have updated photos and capture what our daughter looks like now at seven years old and to be with us in the photos versus her alone in them. 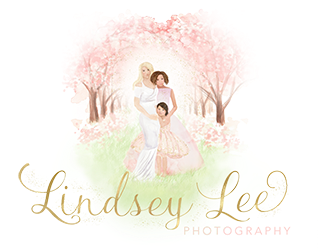 "Why did you pick Lindsey Lee Photography to take your precious family photo's?" I was referred to Lindsey from a friend on social media. After spending a great deal of time looking through websites and blogs of other photographers that were also recommended, I looked at Lindsey's website. Immediately I could tell Lindsey was a professional and not a "hobby" photographer. The first thing I noticed in her photos was how clear her subjects were. Their eyes were in complete focus. And the colors of the backgrounds were breathtaking. It made her stand out. I knew immediately that we would be in good hands and the worry about "did she get that shot" would be wiped away. "What did you enjoy most about your session with Lindsey?" Lindsey knows what she's doing. She knows her cameras, she knows the lighting, she knows the locations and she knows her abilities. It was a seamless photo shoot. She's calm, cool and collected. She never second guessed herself. She took her shots, looked at them briefly and moved on. I felt comfortable because she was confident. "Was everything you wanted to be captured to your expectations?" I knew the moment we left our shoot with her, that I was going to get the photos I had wanted for years. I knew she captured us looking flawless and we are not. Her photos of my family are breathtaking just like her photos on her website. Everyone is crystal clear, our eyes are in complete focus and our backgrounds are beautiful. Lindsey is not your hobby photographer. She's a professional photographer. There's a huge difference and you can see that in the photos she's captured of my family. Edith - Looking for a skilled photographer for a fall family photo session in October. Please let me know if you have a availability in October as well.as package prices. Thank you!